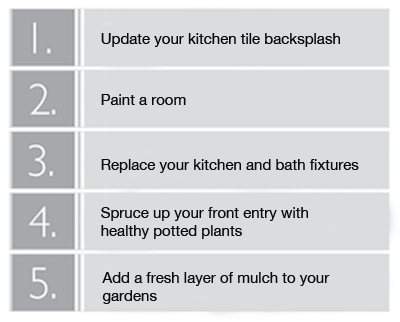 It’s Friday, the weather this weekend is going to be beautiful..so why not get some projects done around the house? 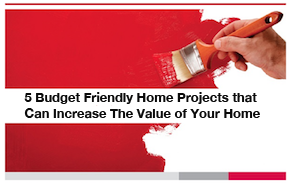 Below we’ve listed 5 budget friendly and easy home projects that can raise the value of your home. Make it a family project and have some fun! If you are interested in a free consultation on how to get top dollar for your home in today’s market, please do not hesitate to reach out!